If you live in the beautiful town of Medfield MA and you haven't already, you will want to head down to the polls to cast your vote on the Special Election ballot questions! The polling place is located at "the Medfield Center", 1 Ice House Road, and open today until 8 pm. This is a Special Election to determine the outcome of two override questions. 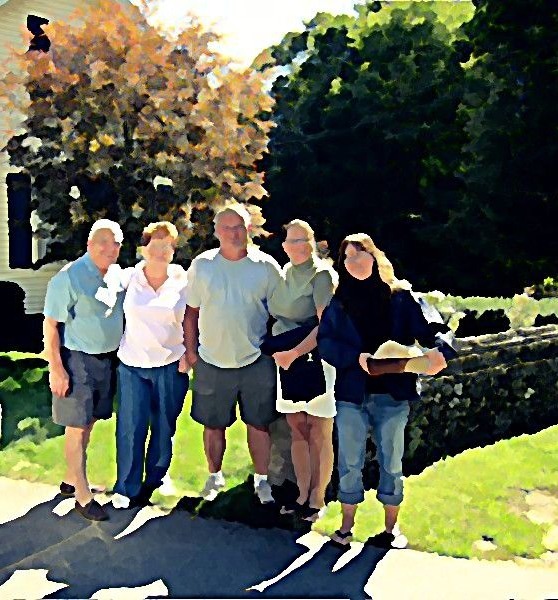 Shall the Town of Medfield be allowed to assess an additional $500,000 in real estate and personal property taxes for the purposes of general operating expenses of the various School and Town Departments for the fiscal year beginning July 1, 2011? Shall the Town of Medfield be allowed to exempt from the provisions of proposition two and one-half, so-called, the amounts required to pay for the bond issued in order to pay for construction, equipping, furnishing and landscaping a new public works facility, including the cost of demolishing the existing town garage? it's time to weigh in, have your say, and exercise your democratic right! I went on a listing appointment the other day. There had been another Realtor in before me. When I got back, the Seller announced that she would be listing with me! Why, I wondered would she say that before I gave her my full presentation? She explained that I seemed to care about her and her home. That prompted me to think about just why I have been in the business for so long. 24 years ago, I was employed by the local police department, working the night shift. My coworkers, people whos opinion I trusted and relied on (you tend to do that when someone literally has your back), talked nonstop about real estate. They convinced me that I should practice real estate during the day. I took the class, exam, and started working. Quickly it became clear that this was not a part time job! I left the PD and embarked upon my adventure as a Realtor. So what does selling real estate mean to me? Sure it's the way I put bread on the table and oil in the furnace, but more than that it is about memories and dreams. It's what keeps me coming back day after day! New Consignment Shop Opens in Franklin MA "Fortunes Found"
Yesterday, I strolled into the new consignment store at 4 Crossings Plaza in Franklin MA. It's called Fortunes Found. It was a delightful experience. The store, to my surprise offered fine home consignments and appeared more like a gift shop! The owner, Susan Domenikos, warmly greeted each and every person that walked through the door with a big welcoming smile! Perfect! This is the kind of place I want to frequent! pieces to china and pottery. Prints and paintings, lamps, lace, pillows and wall art. Local artisans offering dried flowers and hand made bags! Lots of bling! ... necklaces, pins, earrings and bracelets! Something for everyone! Definitely a shop that I will want to visit over and over again to see what shows up! The prices were awesome. See that grey chair in the photo on the right? Yea, could I hardly pass it by.... I so need a bigger house! $35... what a deal! All the stuff was in great shape and "take home" ready! If you get a chance, drop in and take a look around. You may even have something that you want to put on consignment. and, by the way, I can't find a place for the chair, but I did find a place for this gorgeous piece. You guessed it! It's now hanging around my neck! Oh yea, and a fab pasta dish too! Need a new piece or some dishes, or whatever. We all love a bargain....This might be just the place for you to visit! Oh, and I'm not just up on new store openings ... I am also up on regional market conditions! I've been selling real estate locally for the past 24 years and can help you with your real estate needs! What the heck is Flocking? 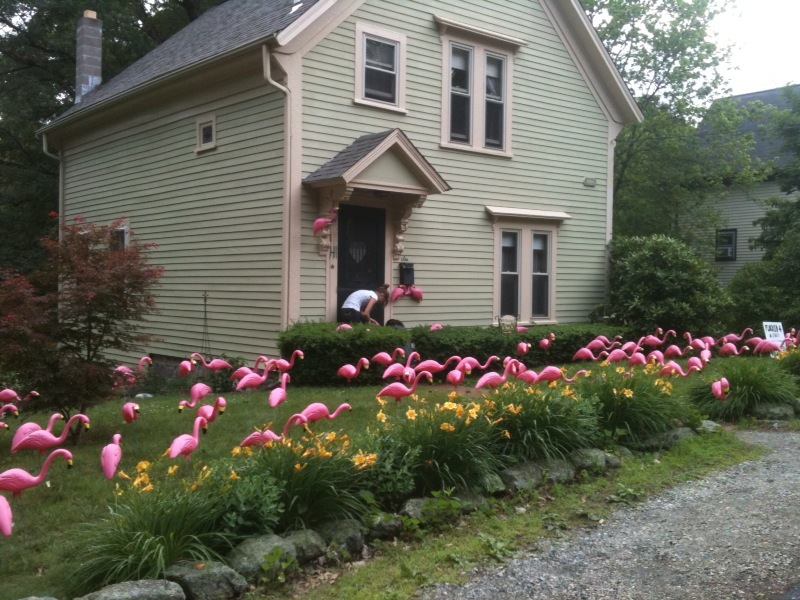 When a bunch of pink flamingos show up on someone's front lawn. 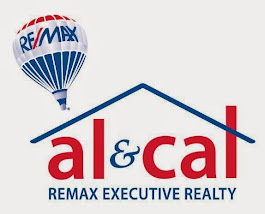 As a Realtor in the Franklin MA area for more than 24 years, I believe it's important to be an active part of the community. One way that I have tried to do that is by supporting the ACS through Relay for Life. We have all been hit hard by cancer. The Realtors in the Franklin area are no different. We have seen a number of our family, friends and co-workers struggle with the disease and know first hand the effects of it. Team CSI, (Care, Support, Imagine a cure) is holding it's annual fundraiser. What a great way to have fun and make a difference! The "Flock" lands in the yard and stays for up to 48 hours. The recipients receive a notice explaining their arrival and informing them that a donation has been made to ACS.